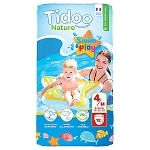 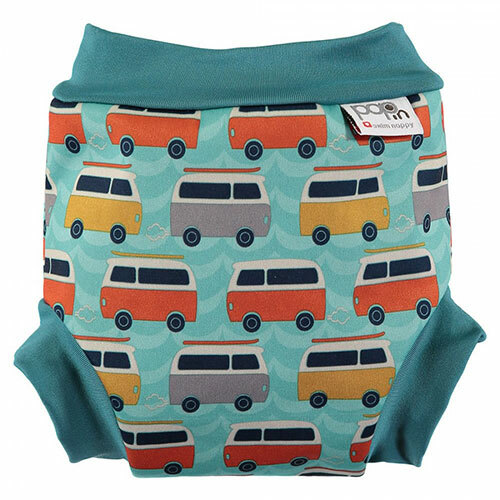 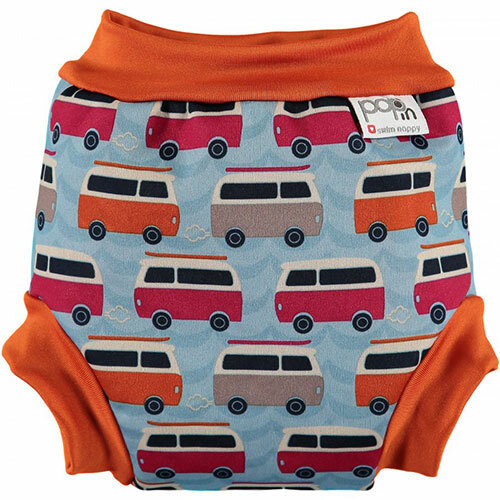 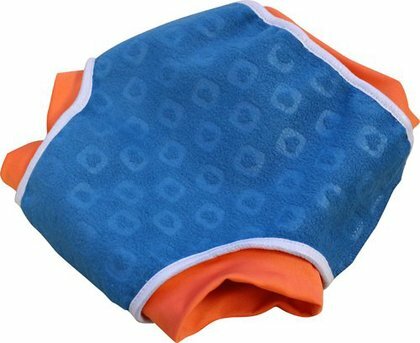 Pop-in swim nappy is made of a special waterproof laminate which is softer and more flexible than traditional neoprene and contains three layers - inside, a fast wicking fleece, outside, a stain resistant water repellent layer and between the two lies a hidden water-proof membrane. 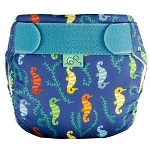 This special material coupled with our unique 'seal to skin' binding at the legs and waist means you can be sure our Pop-in swim nappy will keep any little accidents safely contained in their swimmers. 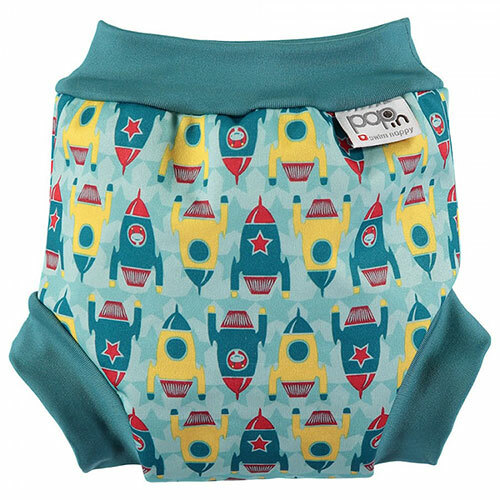 The Pop-in swim nappy can be used with or without a liner, and although it works perfectly well alone, using one can help make change time a little less messy! 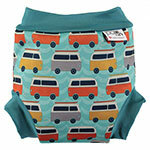 Please remember that a snug fit at the waist and legs is essential for the swim nappy to do its job properly.